Our home (Houston) has been devastated by hurricane Harvey and we are stranded out of town and feel helpless. We just want to do all that we can to help families and victims of the flood. People's homes have been completely submerged under water, they're losing all of their possessions and are having to evacuate and relocate. Others have had to be helped from their rooftops (trying to stay above rising water) by rescue boats. If you could donate anything it would really help and the people of Houston would be so grateful. 1.We are from Houston Texas and we are National recording artist with Sony/RCA. We are also doing free concerts and donating funds to this same cause. 2.We are supplying displaced people with basic needs like water, diapers etc, and temporary lodging through our local churches we are partnering with (Fresh Start Community Church) 14556 Almeda Rd Houston, TX. 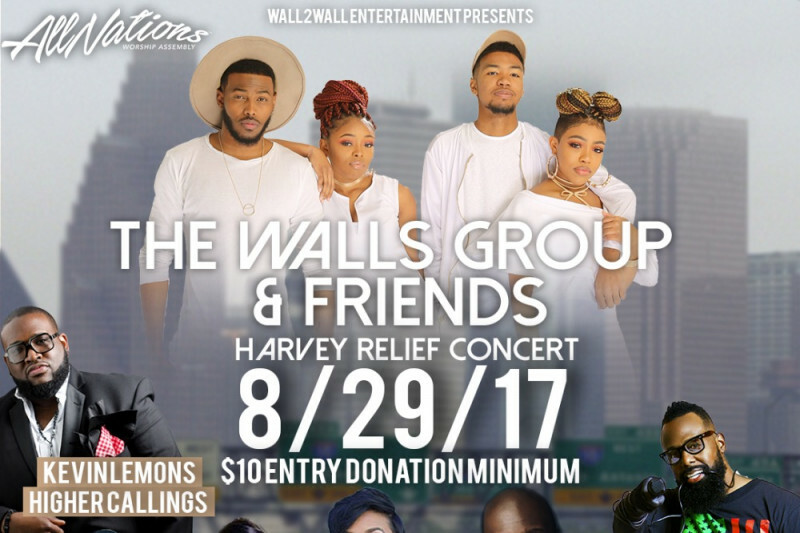 3.The churches will be provide food, water and hotel stays for the people from the community of Houston that lost everything. 4.Roger Walls who manages The Walls Group will be handling the funds in his name and ensure the delivery of funds to the intended beneficiaries. Roger Walls will be handling the funds in his name and ensure the delivery of funds to the intended beneficiaries. 1.We are from Houston Texas and we are National recording artist. We are also doing free concerts and donating funds to this same cause.